Foodies will have a chance to sample the finest Vietnamese fare on Saturday at the Taste of Little Saigon food tour hosted in the Little Saigon area of El Cajon Boulevard. In the mood for Vietnamese food? If so, then El Cajon Boulevard is THE place to be on Saturday. From 1 p.m. to 5 p.m., the Boulevard will host the “Taste of Little Saigon” – a guided walking food tour featuring samples from nine of San Diego's best Vietnamese restaurants. 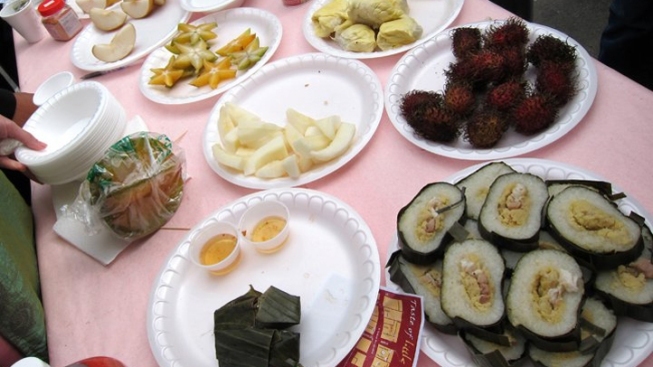 The tasty tour is happening in the Little Saigon area of El Cajon Boulevard in City Heights. Participating restaurants this year include several eateries on the 4600 block of El Cajon Boulevard such as Maxims Seafood, Pho King, Song Huong Food to Go and A-Chau. Foodies will stop along nine places on this culinary trip through Little Saigon while enjoying live musical performances by local singers and a live painting showcase by San Diego artist Leah Younker. Tickets cost $18 per person. For more information about Taste of Little Saigon on El Cajon Boulevard, visit the event website or Facebook page.